The Stud Stables on Gili Trawangan have a choice of well trained horses for hire. 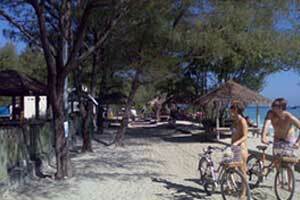 Enjoy a ride around the island on sandy beaches or trek through the coconut groves. All rides are accompanied by well trained guides. 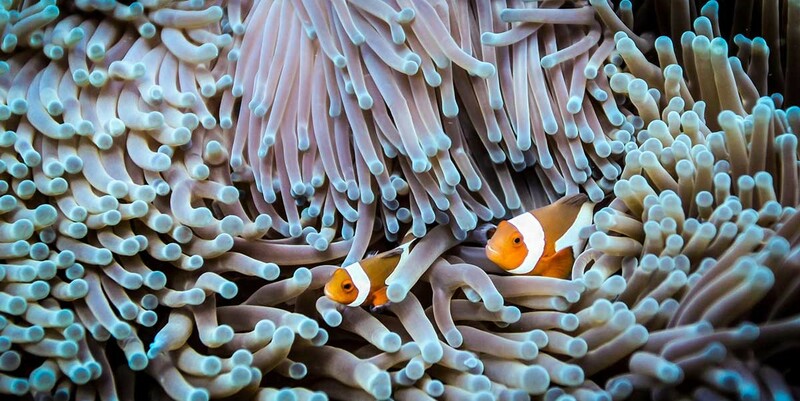 The Gilis are one of Indonesia’s top dive destinations and have a range of dive sites to suit everyone from beginners to technical divers. 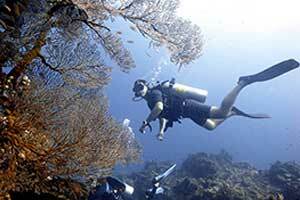 Dive sites vary in depth, topography and marine life and all are located very close to the islands. Fun dives and courses are available at all centers; choose a dive shop in the Gili Islands Dive Association (GIDA) for high standards and safety. We are happy to help you arrange for Dive trips and courses and to recommend an accredited Dive Centre that best suits you. Trawangan is a snorkeler’s paradise with an abundance of fish and turtles to be seen just off the beach in the north east and north shores of the island. 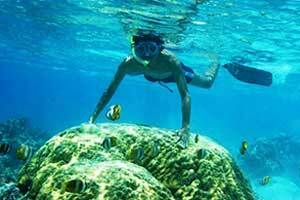 There is a 3 island snorkeling trip daily by glass bottom boat or private charters also available. Off the southern end of Trawangan is a right hand break called Secrets and board hire is available from the surf look out on the beach. Local surfers are always happy to offer information or lessons for the less experienced. Kayaks and paddle board tuition and hire is available from Trawangan Dive. There are many spas offering a range of massage styles and body treatments. 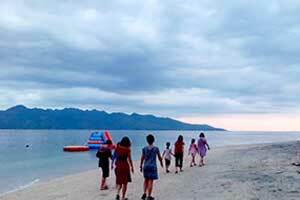 The beach track goes all the way around the island and is 6.9 km. There are lots of paths crisscrossing through the middle of the island so hiring a bike for the day is the best way to explore Trawangan. Walking around the island takes around 1 hour and 45 minutes and there is also a path to the top of the hill offering a spectacular view of the island and over to Lombok. 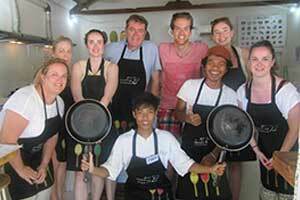 Learn to cook delicious local dishes at Gili cooking classes. In the 4 hour hands on class you learn how to prepare traditional Indonesian food and get the recipe book to take home so you can test your new found skills at home and impress your friends. There is a shuttle boat twice a day that links Gili Trawangan, Gili Meno and Gili air so you can head over to another island just for the day, or charter a boat to do your own trip around the islands. 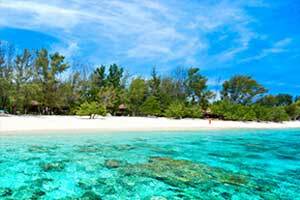 Gili Free Dive Centre offers courses and free diving experiences up to Instructor level. Learn free diving in just 2 days and be amazed at your progress on the course. 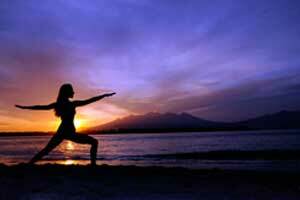 Daily Yoga sessions are also available in the morning and early evening. 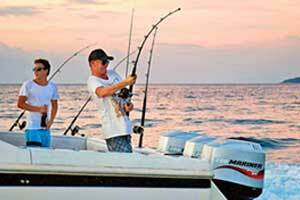 Line fishing and trawling trips can be arranged and boats have experienced guides on board or rent a rod and reel and head to the end of the jetty like the locals do to try your luck. 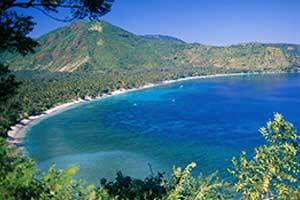 Lombok has many attractions for a day trip. We are happy to arrange trips to the spectacular waterfalls at Senaru with amazing views over to Rinjani, or to explore the majestic beaches of South Lombok, cultural tours to central Lombok to see traditional villages and arts and crafts, or Tours of the Pearl farms and show rooms of the world famous Atore Pearls on the north coast of Lombok. 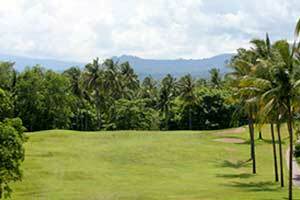 At Sira Beach in North Lombok the Kosaido golf course is an 18 hole course set in a coconut plantation overlooking the ocean on 3 sides which has amazing views of the Gilis and Mount Rinjani. 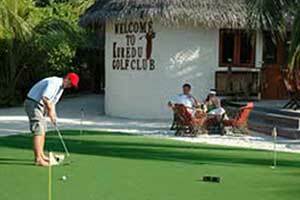 We can organize reservations and transfers to the course for an unforgettable golfing day out.